“In addition to the daily routine of coding, the mind needs new, creative experiences. As a team we are on the lookout for new challenges. Rahul Bhammarker brought the Angular Attack event to our attention, and we decided to go for it. Within minutes, we assembled a team and registered. Then came the difficult question: what would we develop for the event? We could develop any utility base application, so the field was wide open. Everyone started throwing ideas at each other like snowballs! Soon we had a solid plan. Deepak leveraged his creativity and ideas for the UI design. Everyone else was busy coding modules. Ashish provided the facility and resources so that we could work without distraction. We were so into it that we didn’t even notice time passing. Forty (sleepless) hours later, we were on the verge of the completing the application. Then it was time to wrap up things and test the application at the developer level. I remember that no one was looking tired at all and I wondered how that could be possible. “As an art lover and a UI/Website design enthusiast, I stay informed about emerging design trends in the software industry. So when our team heard about the Angular Attack competition it was a great opportunity to be part of a cutting-edge design process. It was a challenging experience for us to design the UI for the whole project within 48 hours. But the team did a fantastic job without even minding the lack of sleep. It was awesome to work with my colleagues, Rahul Bhooteshwar, Rahul Bhammarker and Anuj Jain. We gained significant expertise in Angular 2 within a very short period of time and worked well together to achieve the goal of “A Good Design with All Angular 2 Capabilities”. The team had great support from Ashish Vijaywargiya and other HotWax Systems team members. 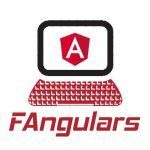 “As a technology enthusiast and an Angular lover, I stay current about news related to Angular. I could see that Angular 2 was going to be “next big thing”. To be confident with technology, you must first implement a complete project that makes it to production. So when I heard about Angular Attack I thought it was a great opportunity to get significant Angular experience. We registered for the Angular Attack event and formed a team. It was really an amazing experience to do something I enjoyed so much–and to be able to share the experience with people who feel the same way. 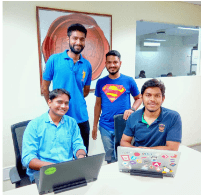 Our team was exceptionally well balanced, with Deepak as our UI/UX expert, Rahul as our development/ deployment expert and Anuj as our problem-solving genius who could patch any problem. Initially, Anuj didn’t know quite as much about Angular 2 as much as Rahul and I did, so he spent two nights getting himself up to speed. This accelerated learning, along with the demands of the event, meant that he slept just 4 hours a day for 4 days in a row! Kudos also to Angular Attack for issuing such a gracious and inclusive results-notification email. Thank you for participating in Angular Attack 2016! We hope you had an amazing time. This was the first year of the competition and we are so happy to have you included! Unfortunately you were not one of the winners this year. Voting isn’t an exact science. Our judges take time out of their busy schedules to do this voluntarily, and while we want every entry that is submitted to get a large number of judge reviews, it just isn’t realistic. We strive to improve our voting process every year and we’d love any suggestions you might have. Our goal with these competitions isn’t to focus on who wins and who loses. The Angular community is so passionate, and we want to give everyone a chance to come together, support each other and have a good time. You should feel extremely proud to have created something in 48 hours. Our next steps is to help you promote your amazing work. 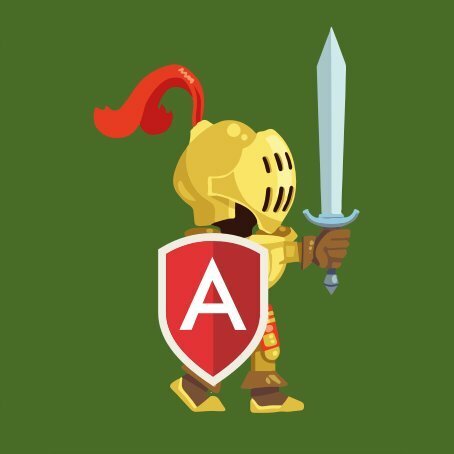 The app you submitted will be shown on Angular Attack forever, so we want to make sure you can include this in your portfolio. We will be following up shortly to chat more about how we can help you promote your entry.